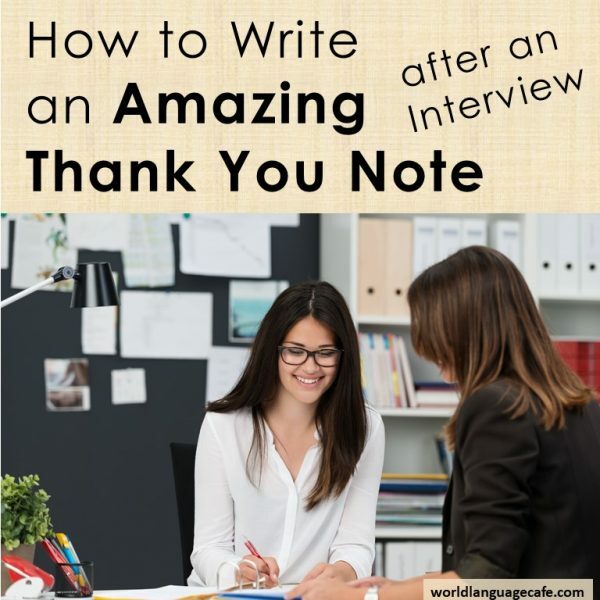 Before reading “How to Write an Amazing Thank You Note after a Teaching Interview”, you may wish to check out the first 2 parts of this series, Catharyn Crane’s post on “Resume Do’s and Don’t’s“ and my post about “How to Ace Your Next Teaching Interview”. Phew! You made it through the grueling interview, but wait . . . you’re not finished yet. Once you’re done with the teaching interview, send a thank you email that day. 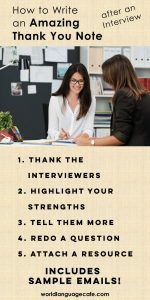 Do this for each round of the interview. Ex. 3 rounds = 3 thank you emails. * First Paragraph – Thank them for their time and mention the position for which you applied. You can also say something specific that you loved about their school, students, or department. * Second Paragraph – Highlight your strengths as a teacher, how your experience makes you perfect for this position, and what they could expect if you were hired. * Third Paragraph – (Optional) – If you feel that part of the teaching interview didn’t go well or that you flubbed a question, a thank you note gives you a chance to provide additional information (perhaps a better answer) or to attach a resource that highlights a teaching strength. * Attach a Resource – (Optional) – Consider attaching a particularly creative or engaging resource to the email that highlights an area that you may not have talked about during the interview. Or use this resource as a way to show your strengths in a skill that may have seemed weak during the interview. * Closing – Thank them for their time and mention that you are looking forward to hearing from them soon. Here are a few examples that I have written. Please do not copy these directly. It is very important that you write your own notes in your own voice. That way, you can play to your individual teaching strengths. During this interview, I felt that I answered the question, “Describe how you would teach a typical class,” too generally. Since the next day was Valentine’s Day, I included my lesson plans and resources for that day. Thanks so much to you and your colleagues for making time to meet with me today to discuss the Spanish leave of absence position at _______ School. I really enjoyed our conversation and would love to be part of your language team. 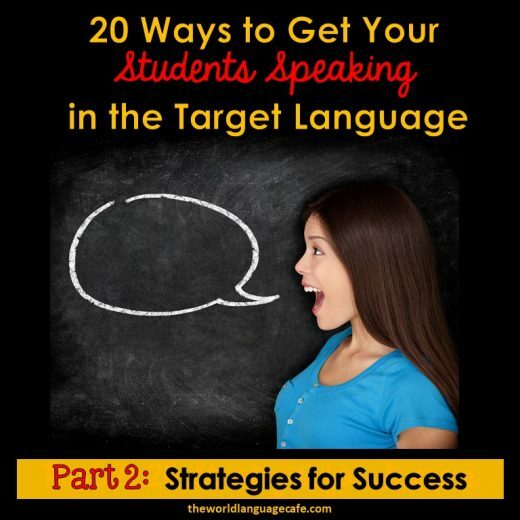 I am truly passionate about language learning and teaching and am excited to share this energy with my future students and colleagues via innovative teaching techniques and resources. My strong background as a Spanish teacher of all different types of students would be an asset to your department. Attached is a sample of the types of teaching materials that I create for my classroom so you can see what I would do with my students if I were there for Valentine’s Day. Hope that you and the other Spanish teachers find these useful in your classes. Thank you for considering me for this opportunity. Looking forward to hearing from you soon. Thanks so much for inviting me to teach Spanish 4 yesterday. It was really fun! Loved getting to know the school and the students a little bit better. What a nice bunch of kids! I was a little sad that I ran out of time for the Top Chef activity because it would have been a great review of both the vocabulary and the verb tense in context with some additional useful phrases (¡Ay no! Hazlo ahora. Date prisa). However, I wanted to make sure that the students could use the tense well before having them practice it in partners. Hopefully, (the teacher) can use the cards in her classes sometime this week. Just in case you didn’t get a chance to see them up close, they are attached to this email. Feel free to share them with other teachers in your department who may be teaching the same curriculum. Thank you again for your time. I look forward to speaking to you soon about potential next steps. Thank you for taking the time to meet with me today regarding the leave of absence Spanish position at the High School. My strong teaching background, including teaching SUNY Spanish (college level Spanish), combined with my passion for engaging students in the target language, make me an excellent candidate for the position. 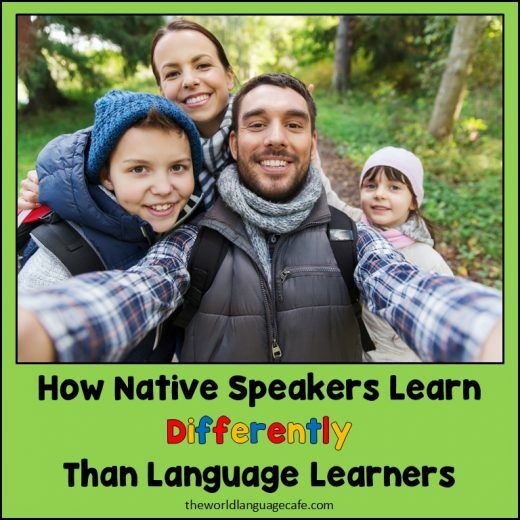 Given the opportunity, I could greatly enhance students’ abilities to communicate in Spanish, open their eyes to the beauty of the Hispanic world and its culture, and most importantly, get students excited about learning a language. I appreciate the time that you spent speaking with me and look forward to hearing from you soon. Hope that these teaching interview thank you note tips, questions, and emails help you get the teaching job of your dreams!